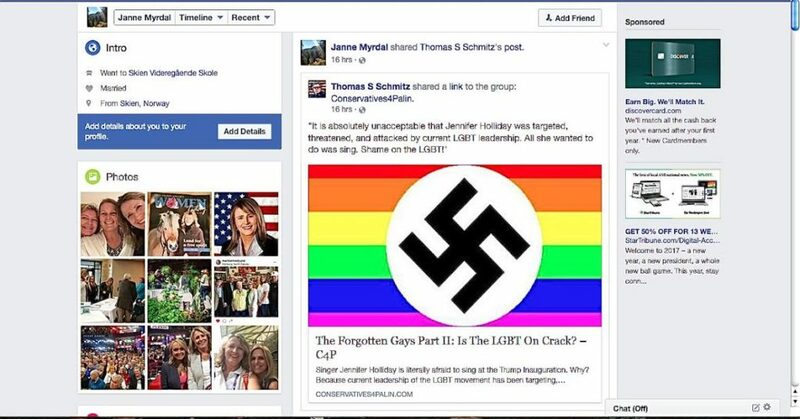 State Sen. Janne Myrdal removed the image of a gay Nazi flag from her public Facebook page today after we pointed it out. 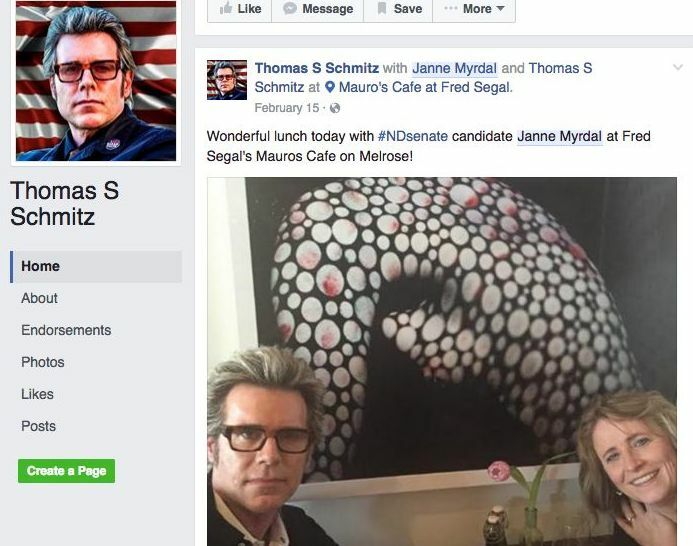 We reached out to Myrdal for comment and will update with any response. 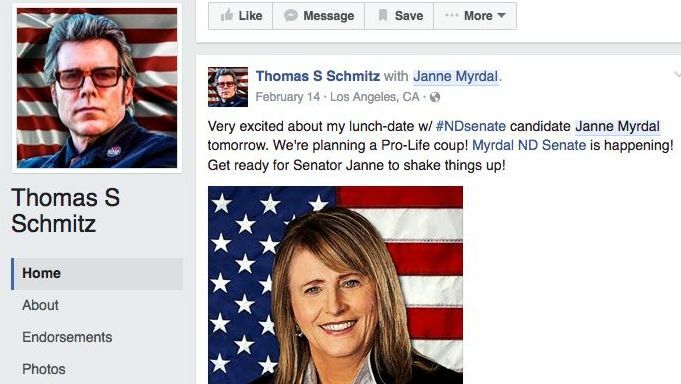 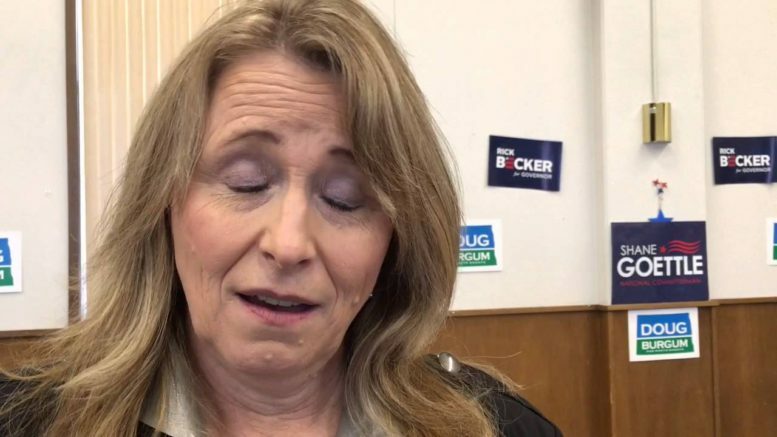 Be the first to comment on "Gay Nazi Flag Disappears From ND Legislator’s Facebook Page"